If you haven’t already watched Shrina Kurani’s TEDx talk you should. Shrina had less than four hours to prepare for her talk. I can’t even begin to imagine the pressure. But she handled the pressure like a pro. Right from the start of her talk, she drew me in with her hook – it was only four lines. I won’t spill. You’ll need to watch How Your Dinner Could Save the World for yourself. 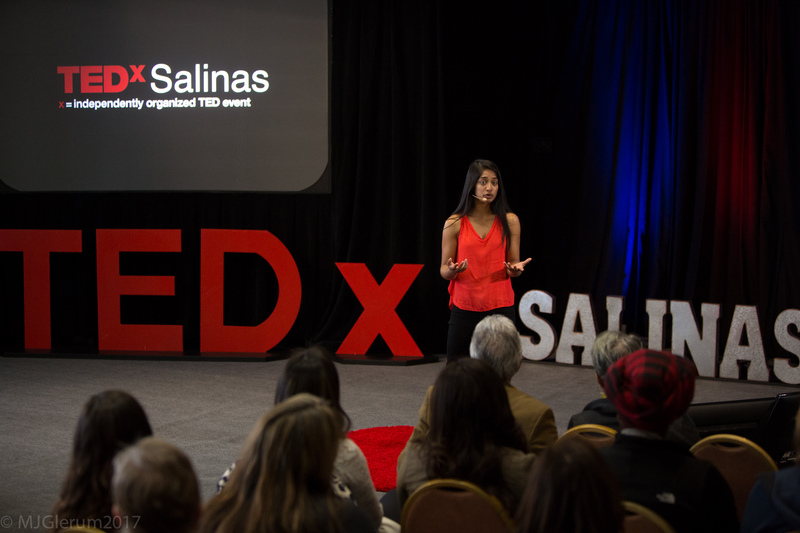 Saying “yes” that day to the TEDxSalinas organizers quickly put her in a panic as she realized what she signed up for. However, she calmly got back up on her feet and realized something else, “You’ve already won by simply saying yes”. Come join me as Shrina humbly shares her story of her work in the Himalayas, how the experience inspired her TEDx talk, and how she prepared in such a tight timeframe. Shrina Kurani backs entrepreneurs to build better worlds by designing technologies that work for people and our planet. An engineer turned sustainability scientist, her international background includes research, engineering consultancy, and systems design to social entrepreneurship and business development.